We’ve heard for a while that the Sony is keeping the 6 months recycle for the Xperia Z line, and sure enough, when the time is near, we start to see tons of leaks about specification, release date and such. 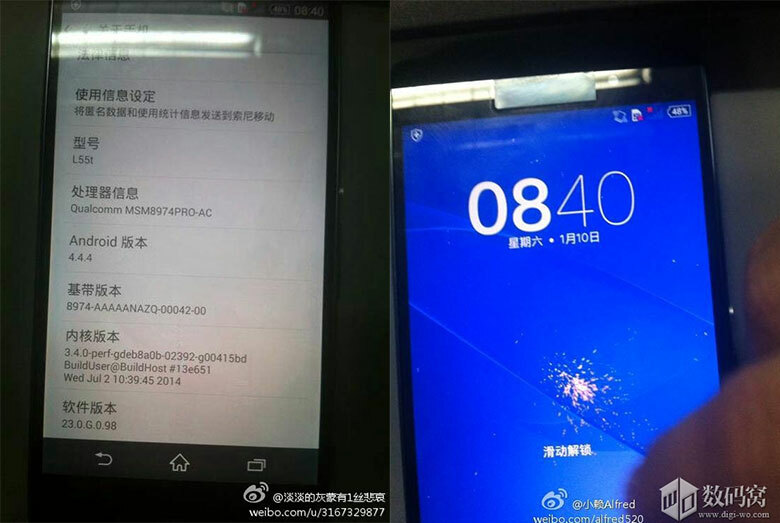 We have seen some of the panels for mystery devices that were supposedly the Sony Xperia Z3 and Z3 compact. 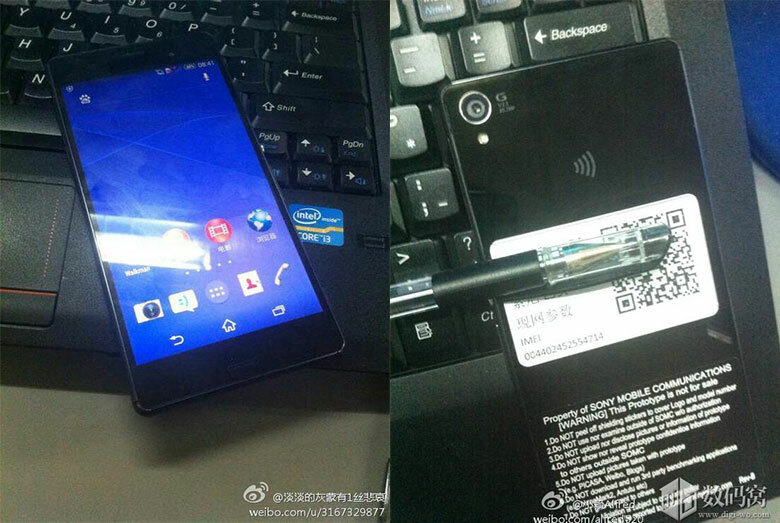 Well, today, a new chain of image emerges with what appears to be a working prototype of the Sony Xperia Z3. These picture also support the previous information that we already have. From the picture, we can only assume that the panels from this leak matches to the previous leaked panels. The back side is once again, similar design to the Z2, and still bears the almighty 20.7-megapixel camera with LED flash. In the info page, although most of it is in Chinese, we can see that the phone identify itself as the Sony L55t, and hear me out, in China, the Z2 is the L50t. Of course, there are still possibilities that this device is just a branch of the Z2 line, but the better theory that would match with the timeline that Sony has set out for its flagship is the Z3. Currently, this device runs on Android 4.4.4, with that OS is the Qualcomm MSM8974PRO-AC, which is the Snapdragon 801-which make me wonder since why would they make a new phone with almost the same spec-this is not the 801-AB, but the 801-AC that is, and supposedly, a minor update from the Z2’s. Sony software version 23.0.G.98-new skin software on top since the latest one so far for the Z2 it’s 17.1.1.A.0.402. Although there are a lot of things we still do not know about the device, it’s safe to say that with these amounts of leaks, and we might see the Z3 appearance in a few months, if not sooner.